The last quarter of the book finally delivered on some of the action and magical danger the synopsis promised, but it was too little, too late. 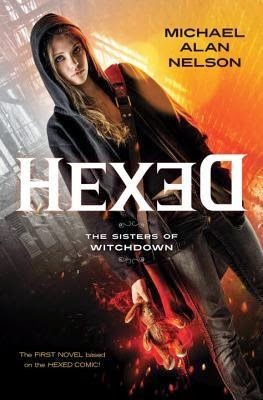 Unless you want to read about a girl who won't shut up about her crush, I recommend passing on Hexed. 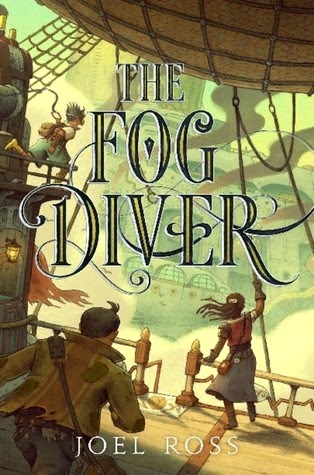 I'm almost through The Fog Diver, which is a fairly entertaining post-apocalyptic middle grade adventure full of airships, mutineers and the ever present, ever dangerous nanite Fog. Once I finish this, I'm hoping to pick up the pace (before I fall hopelessly behind on my GR Challenge) and churn through all my eARC's. On deck are: Uprooted, Siren's Fury, Rebel Mechanics, Powerless, and yes, still, Illusionarium. The Fog Diver sounds fun! But yes, totally over this winter. It was actually over freezing today which is rare. Snagged a copy of Siren's Fury, but it is just one of those covers I want in physical form. I'll see how it reads first. I still can't believe there are people in America that haven't seen snow. Well, I guess maybe that isn't so hard. It just seems like the weather is soooo crazy these days that it is snowing everywhere! I have pretty high hopes for Siren's Fury, so I hope it's good enough to warrant a pretty hardcover for my collection. I completely missed that Siren's Fury was up on NG so thank you for pointing it out!! Yeah, our snow is finally melting and I'm so freaking relieved! You are very welcome! I think we may have reached 50 today, so here's hoping for more of the same!